Derek Mitchell, For all of Lowell. Election day is fast approaching, join us November 5th at the polls to help make a difference 'For all of Lowell' . 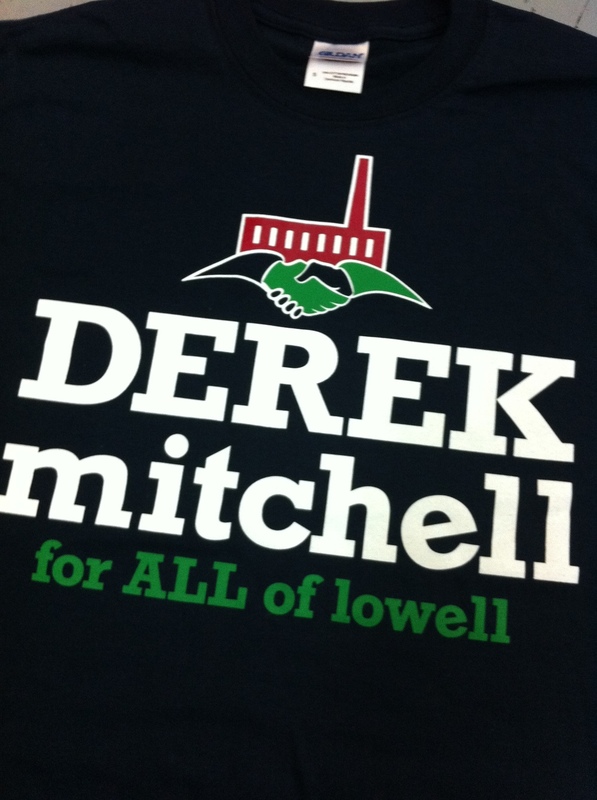 Help support our friend Derek Mitchell in his campaign to help elect him to the Lowell City Council. We have witnessed first hand Derek's passion for the city and people of Lowell. Derek's hard working, blue collar like mentality combined with his creative thinking and leadership skills will make for a great addition to Lowell's City Council. Check out the shirts we made for Derek and his Volunteers and of course, GET OUT AND VOTE!